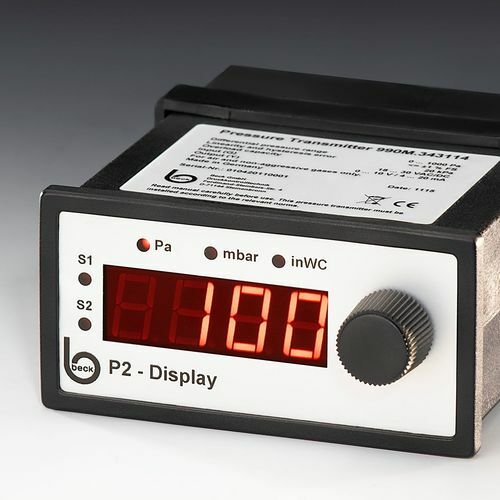 The differential pressure gauges 990 Display are for air and non-aggressive gases ana will be used to measure differential pressure, overpressure and vacuum. They offer one adjustable pressure range and two output signals, which can be selected in the menu. The type 990M has a manual zero offset calibration, the type 990A has an automatic zero offset calibration. Monitoring of air and non-aggressive gases. To adapt the instrument to the application, the factory-set pressure range can be modified in tne menu in a range from 100% to 20% of its full scale value. 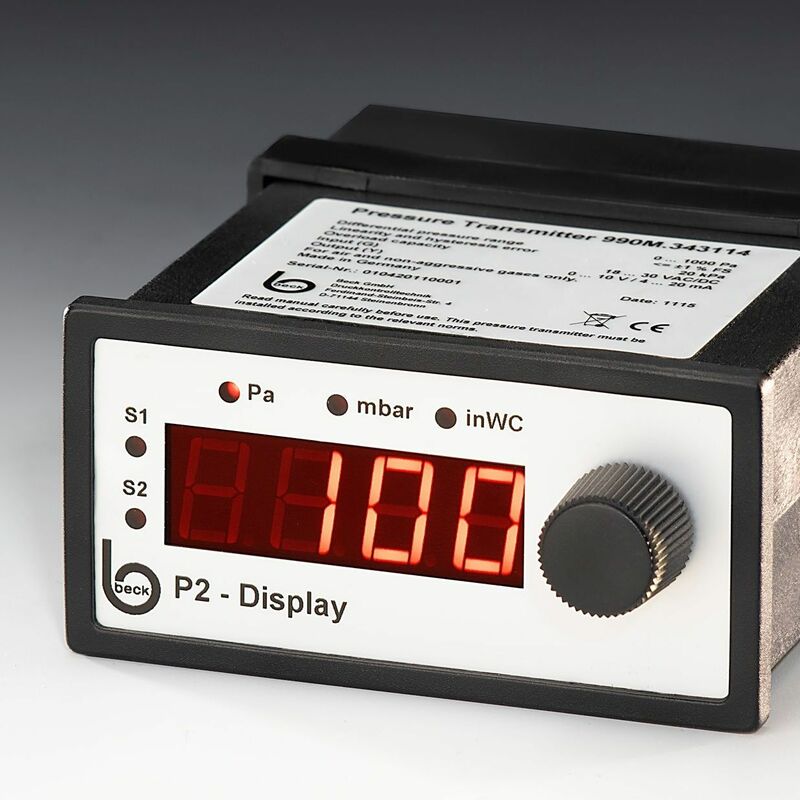 The instrument offers three different pressure units to show in the display, which can be selected in the menu. Factory setting is Pascal, which can be changed to mbar or inWC.